Competition is open: Perform at the Best Major European Festival! 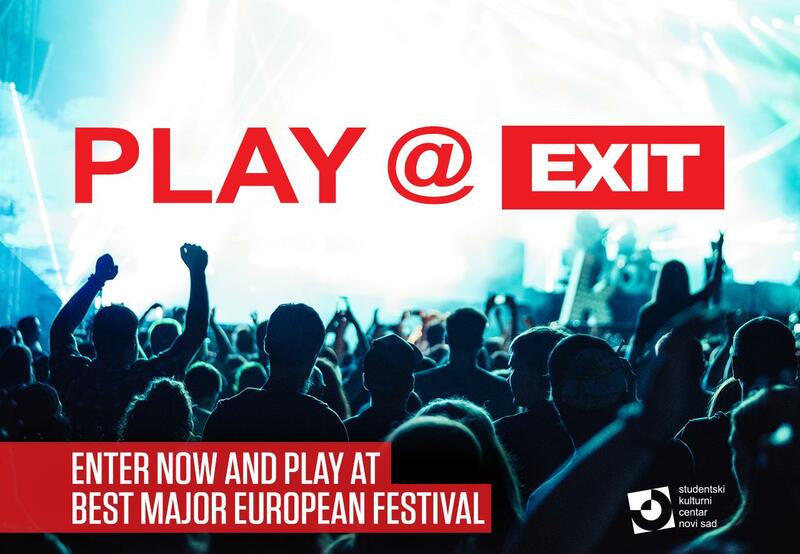 EXIT, officially the Best Major European festival, in cooperation with the Student Cultural Center Novi Sad, is launching a competition for young musicians who are given the opportunity to perform at one of the stages at the Petrovaradin Fortress from July 12th to 15th. Last year, over 450 authors from around the world applied for this competition, and 33 top performers were selected at Future Shock, Addiko Fusion, Explosive, No Sleep Novi Sad, mts Dance Arena and other stages. This year, EXIT opens its doors for the best performers and artists from around the world, who will perform at stages around the Fortress, such as Future Shock @HEINEKEN Beer Planet Pub, Explosive, Cockta Beats & Bass, Radio As FM powered by Guarana and others. Bands, DJs and songwriters can apply from now on via the application www.exitmusic.rs, and the competition will last until Friday, May 4th, when it is the last day to complete the application. All those who are interested need to create a profile and post at least two of their songs or DJ mixes at SoundCloud streaming service, and then submit them in their application on www.exitmusic.rs together with a bio, photos and genre. All artists who already have their profiles on this site only need to go to their personal page and click to apply for 2018. Aside from the stage managers, the selection will be performed by RTS music journalist and the author of “Bunt” TV show Branka Glavonjić, Nikola Jovanović from SAE institute in Belgrade, co-creator of “Koncert godine” and acting director of SKC Novi Sad, Obrad Boba Škrbić, radio hosts Dušan Majkić, Daško Milinović and Alma Kovčić, program editor of the Student Cultural Center of Novi Sad Igor “Zgro” Todorović, as well as editor-in-chief of Hardwired magazine, Marko Ristić. Art-pop divas Fever Ray and Sevdaliza for EXIT Festival’s opening night! Musicians and the national water polo team members from Serbia and the region have started the EXIT Summer of Love in Umag! Saturday night fever at Exit’s MTS Dance Arena headlined by Robin Schulz and Nicky Romero!